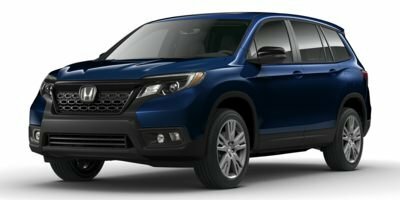 Brand-new this year, the Honda Passport debut in the Miami, Doral, and Hialeah area is sure to turn some heads. This rugged SUV is fully equipped to turn any commute into an exciting adventure, and Braman Honda in Miami is here to tell you all about it. 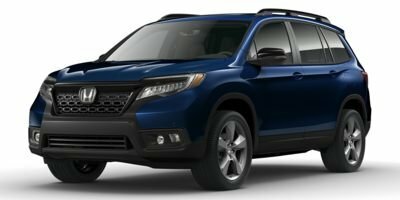 In our sneak peek 2019 Honda Passport review, you’ll learn about all the fine features this vehicle has to offer. From performance and technology to safety, it’s all right below. Let’s get started! Under the hood of this new SUV, you’re going to find the durable and highly-reliable 3.5-liter V6 engine. This generates 280 horsepower, 262 lb-ft of torque, and when paired with the 9-speed transmission, you’ll have ease taking on the road ahead. This SUV adapts to any road condition or terrain with the optional Intelligent Traction Management system. This includes a snow mode to keep you steadier on icy, winter roads, as well as modes for mud and sand. Also available is the i-VTM4® Torque-Vectoring All-Wheel Drive to offer even more vigor and smoothness when experiencing uneven or intermittent conditions. Additionally, because of its impressive power, you’ll also be able to tow up to 5,000 pounds with the proper equipment and configuration. Inside your new Passport, you’ll find a suite of innovative tech to keep you connected and entertained during your next adventure. This SUV comes equipped with Apple CarPlay™ and Android Auto™, making it easy to access your favorite music, phone calls, and text messages while at the wheel. The Honda Satellite-Linked Navigation System™ is also available. This gives you up-to-date information, allowing you to arrive safely in the best fashion possible. It’s also ideal for off-roading, making sure you always know your way while off-the-grid. Whether you’re headed on an exciting escapade or just piling in the family for a trip to the grocery store, the Honda Passport makes it easy with a roomy and adaptive interior. You can easily seat up to five within its 115.9 cubic feet of passenger volume, allowing everyone inside to get comfy. The 60/40 split rear seatbacks also allow you to open up the cargo area to its fullest. With a simple press of a button, these seats fold down, expanding the back up to a max cargo volume of 77.9 cubic feet! This also includes storage space options to keep everything organized and in its place while driving. The 2019 Honda Passport has just hit our lots here at Braman Honda in Miami. We want drivers in Miami, Doral, and Hialeah to experience everything this SUV offers. Contact us if you have any questions and schedule your test drive today!